Wolves boss Nuno Espirito Santo says he understands fans' excitement but has challenged his side to push on even further in the Premier League. Nuno's team have recorded the highest points tally of any promoted team in 14 years at this stage of the season and have won their last three top-flight games. They are seventh in the table on 38 points. The only match Wolves have lost in their last five fixtures across all competitions was to champions Manchester City, but Nuno is still looking for his side to improve. "We are doing OK," he said on Monday. "But we know success doesn't last long unless you work for it. To sustain performances and consistency is one of the hardest things to achieve in football. "I can understand the fans' excitement. I think they are proud with what they see on the pitch. That makes me pleased. "But the expectations from outside doesn't mean a lot to us - we try to give our fans moments of happiness. Tomorrow we have to do it again." Wolves face Sky Bet League One side Shrewsbury in an FA Cup fourth-round replay on Tuesday after their first meeting ended 2-2, with Matt Doherty netting a 93rd-minute equaliser at New Meadow. 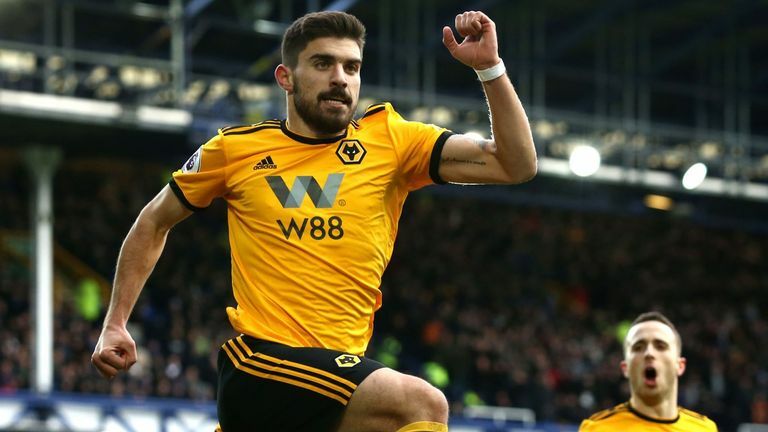 Nuno confirmed that Jota will not play in the replay after picking up an injury against Everton on Saturday, while Ruben Vinagre misses out through illness and Ruben Neves faces a late fitness test. "They will come here, and for them it is a cup final," he added. "So we expect a very tough game against a highly motivated team. We have to match them in that regard. "I know it's going to almost be a full house (at Molineux), I'm really glad for it because we're going to need their support."